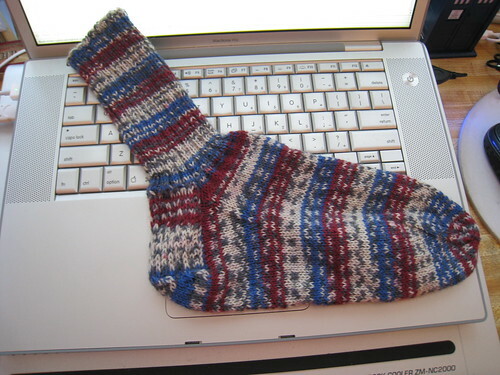 It would be an understatement to say that my first attempt at this sock did not end well. 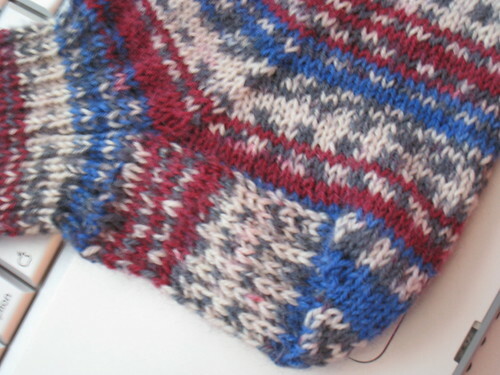 So I decided that, rather than take another stab at the Sky Sockitecture from New Pathways for Sock Knitters, I would go with a more traditional heel flap sock. I’ve been mucking around in toe-up-short-row-heel socks for so long, that I’d forgotten how that magical moment when your tube-with-a-flap becomes a sock can literally take your breath away with its simple elegance. Previous Post Comment contests are made of awesome. Is it me, or is that a very big foot?